Getting started as a freelancer is no small task, whether you’re replacing your full-time job or setting up a part-time business. When I began learning web design a few years ago, my resources were…quite limited. I was using a 10-year-old version of Paint Shop Pro that crashed when I created more than seven layers in an image, working with our TV for a computer monitor while I sat on the floor in front of our coffee table, and trying to spend absolutely no money whatsoever unless I positively had to. As a freelancing setup, it left a bit to be desired. Now that I’ve gotten more established as a designer, I still try to stick to a tight budget for my work expenses. Here are five tools I consider worth investing in, particularly if you’re just starting out. I discovered Planscope via Brennan Dunn, who also wrote Double Your Freelancing Rate. It’s a sleek, simple system for managing projects and communicating with clients. I really love having all of my communication about a project in one place, and I’d tried various alternatives – setting up my own system, using notebooks in Evernote, relying on labels in Gmail. Planscope makes it easy. You can break a project into individual tasks, group those tasks into milestones, and automatically notify your clients as to your progress on each task. The especially nice thing is that clients don’t really have to log into Planscope themselves, although doing so does allow them to see how you’ve divided up the elements of the project and give you more detailed input about their priorities. But if you have a clients who prefer to handle communication via email, Planscope allows them to stay up to date and make requests by simply replying to automatic email notifications. One of the things I really like is that I can easily send a screenshot via Planscope without having to save it as an image first; I just hit CTRL-Alt-PrintScr, then CTRL-Alt-V to paste it into a dialogue box. It’s simple steps like this that make it such a user-friendly site. Planscope is $24/month for individual freelancers and has plans for small agencies on up. It integrates with several other sites (Freshbooks, Harvest, Toggl, and more) to make it easy for you to streamline a project from start to finish. I highly recommend it, particularly if you’re new to freelancing and find it a bit overwhelming to know where to start. Life would have been so much easier if this had been around back when I started. I’m jealous, beginning freelancers of the world. Instead of spending months fiddling with numbers to figure out WHEN I could FINALLY afford to get Photoshop, I could have been paying a relatively small licensing fee each month for the entire suite of Adobe products. Adobe Creative Cloud: What You Need to Know – Justin Seeley clarifies how the subscription model works and how this will affect both new and established users of Adobe products. 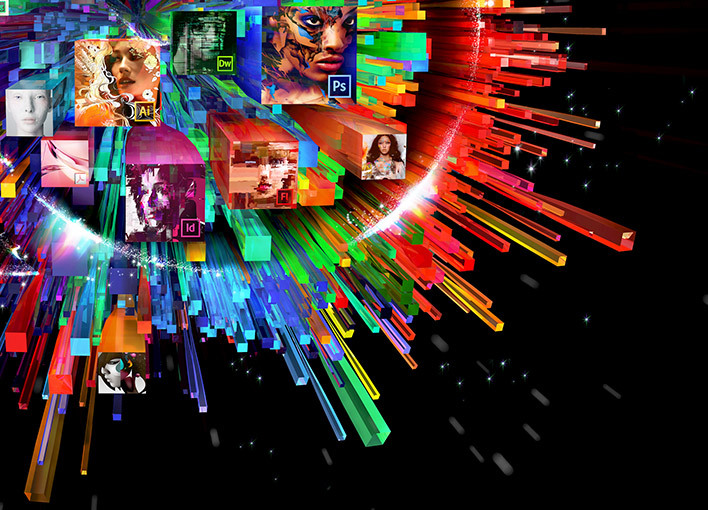 Adobe Kills Creative Suite, Goes Subscription-Only Instead: – fair overview from LifeHacker with extended discussion in the comment section of how this new business model will affect Adobe’s user base. Mashable has an interview with Adobe CEO Shantanu Narayen on the reasoning behind this decision and the company’s confidence going forward that Creative Cloud will bring more innovation to more designers – and possibly cut down on people’s use of pirated versions of the software. Personally, I have found the Creative Cloud subscription to be tremendously beneficial, because I use several of the products – Photoshop, Illustrator, and InDesign. It will be interesting to see how their pricing model develops and if they eventually offer a “pick five products” model similar to the various versions of Creative Suite that they currently offer. If you’re just starting out, I think this is a great way to have access to this software. GIMP is an open-source alternative if you’re really on a budget, are mad at Adobe, or just want to not have the monthly commitment. The full Creative Cloud subscription is currently $49.99/month, but they offer special pricing deals for those who have purchased Creative Suite 6, licenses for individual products, teams, and educator/student subscriptions. Typekit – Premium Web Fonts – and soon Desktop Fonts! I’ve been a subscriber to Typekit for a couple of years now – it allows me to use a wide variety of premium fonts on client websites. For example, this site currently uses four fonts from Typekit: Bistro Script Web, Abril Text, and a couple of versions of Futura. (condensed and regular). I usually don’t go so font-crazy but it felt right. Google Web Fonts are free, and they’re adding more and more choices, but Typekit fonts seem to look a little more legibile on screen and I appreciate having access to the classics. I’m very excited that Creative Cloud subscribers will now have access to Typekit fonts on the desktop, which is going to make things SO MUCH easier and give me an expanded set of options I can offer to design clients. A Typekit subscription by itself starts at $24.99 a year for two websites; if you’re a freelance web designer (and don’t have a Creative Cloud subscription) you’d presumably be better served by a Portfolio subscription at $49.99/year. This is a very basic tool that can tell you quite a lot about how you’re utilizing your most precious resources as a freelancer: your time! Toggl’s free version allows you to track different tasks as part of an overall project. The premium version ($5/month) allows you to set an hourly rate for each client and other features. It makes it easy to provide clients with a detailed list of what you’ve been working on, and it integrates with Planscope nicely. There’s not much more to say about it because it doesn’t try to be all things to all people! You can use Toggl as an app, via the website, or on your desktop machine, and it will keep up with all your different entries. MailChimp just makes everything easier when it comes to communicating with groups. I’ve used it for business newsletters, blog posts sent via email, and even my son’s Little League team. My next project will be a MailChimp newsletter for my current and former clients, keeping them up to date on software updates, business-building suggestions, and other information they may find beneficial. MailChimp lets you easily see who’s been reading your content and what formats work best for getting readers to pay attention. 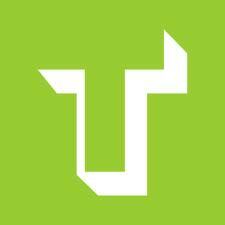 Best of all for new freelancers, it’s free up to the first 2,000 subscribers. Speaking of MailChimp – if you’d like to get an update every time I post something new, sign up below! I’ll be writing about business practices for freelancers, WordPress tips and tricks, and new projects for clients. Thanks for stopping by! 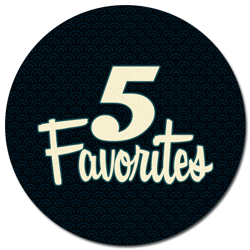 And you can find more Five Favorites posts as part of the weekly linkup at Moxie Wife, hosted this week at Camp Patton. If you’re a freelancer, what tools do you rely on the most? Thanks for introducing me to Toggl! I’d used Harvest App for awhile to do time-tracking, but really didn’t need all the services it offered. I’ll have to give Toggl a whirl. I have been hoping for that feature (Typekit integration) ever since I got my Creative Cloud subscription. I’ve been doing things like entering text in the “see how this looks” window on Typekit, taking a screenshot, and pasting it into a mockup so the client could see how the font would look. Which is ridiculous. I haven’t used Harvest, although I’m not sure why not. I think I just happened upon Toggl first.